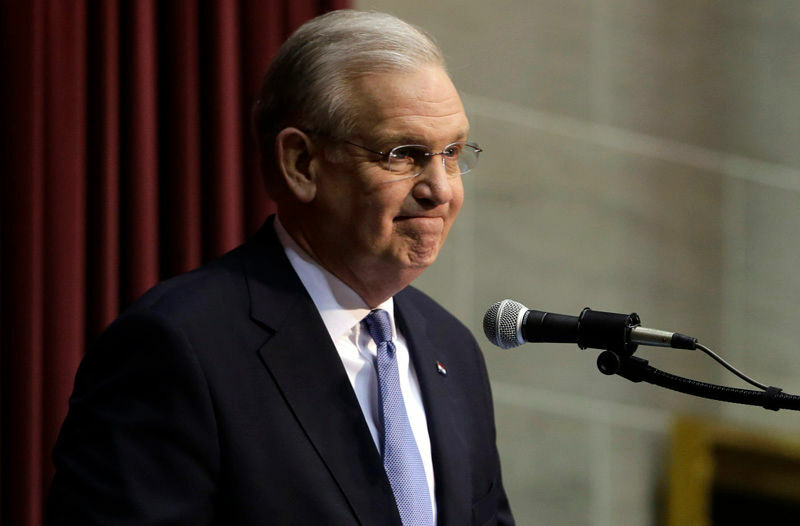 Taking advantage of a law that allows him to assign any case to any member of the state bar, Missouri’s chief public defender, Michael Barrett, appointed Missouri Governor Jay Nixon (a fiscally conservative Democrat finishing his second term) as the defense attorney of a poor client this week, citing the governor’s refusal to provide his office with the resources it needs. Good people of Missouri, former Navy SEAL (and former Democrat) Eric Greitens would like to be your next Governor. Now please watch him fire off a Gatling-style machine gun for 20 seconds. The Missouri primary, which took place on March 15, concluded with the races on both sides too close to call. Then we all forgot about the Missouri primary. But today, Secretary of State Jason Kander announced the winners: Hillary Clinton and Donald Trump. Last night’s primaries likely provided great clarity in the presidential races on both sides. On the Republican side, Marco Rubio dropped out after a drubbing in Florida and John Kasich took the mantle as establishment favorite after a relatively easy win in his home state of Ohio. 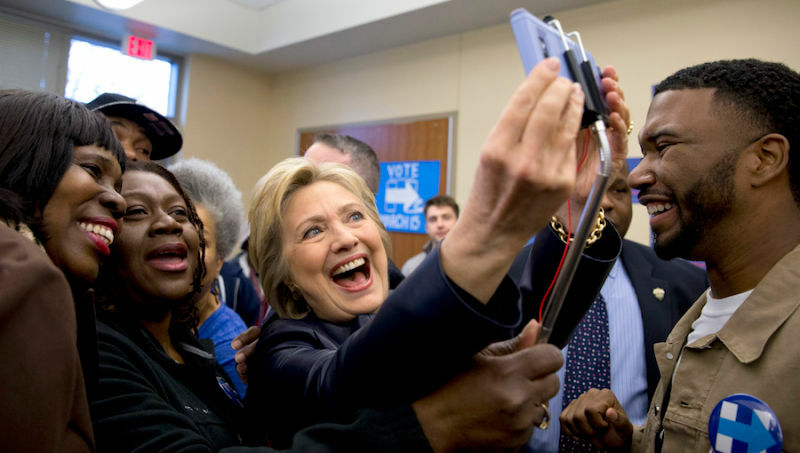 As for the Democrats, Hillary Clinton swept Bernie Sanders in four important states. And then there’s Missouri. 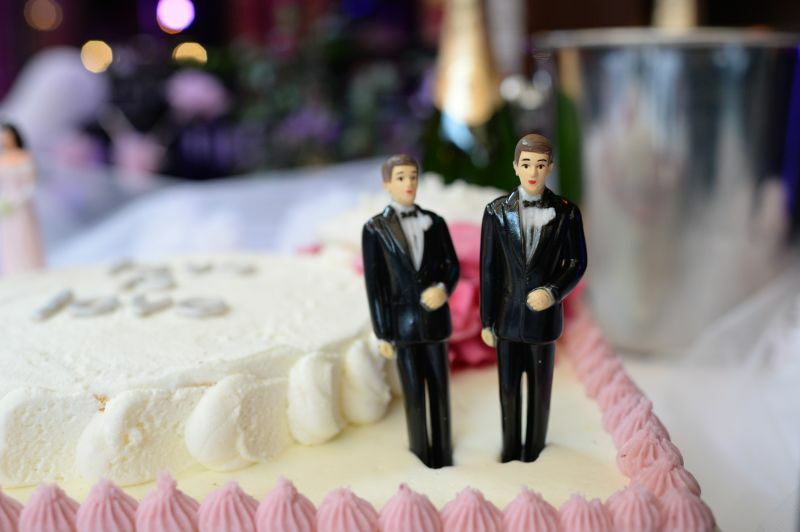 A specific genre of news story that has emerged during this wonderful time on earth is “[place of business] refuses to [render good and/or service] for gay wedding.” You may remember the bakery in Oregon or the bakery in Colorado or the pizzeria in Indiana. 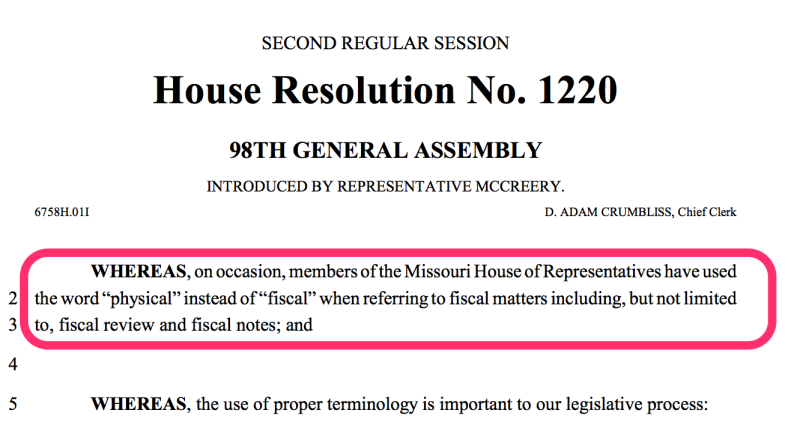 This morning, after a 39-hour filibuster, the Missouri Senate tentatively passed a bill that would make the state ground zero for all further instances of boutique shops choosing not to do business with gay people. 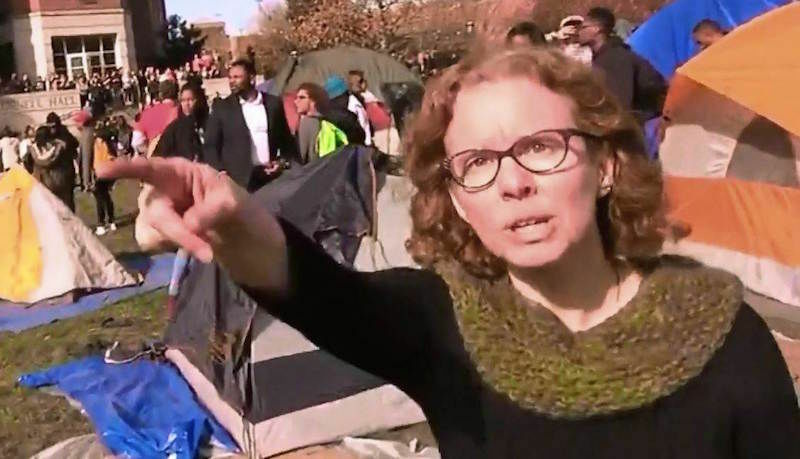 A University of Missouri professor caught on camera demanding “muscle” to prevent a student reporter from covering a campus protest has been formally charged with assault, an important reminder that although you can hate the press, you cannot express that hatred physically. 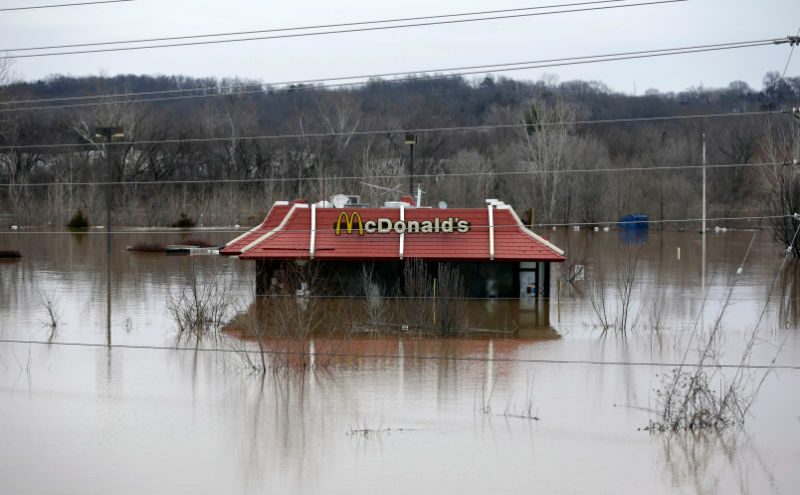 Flooding in the Midwest Tuesday shut down portions of two interstates and threatened hundreds of homes, the Associated Press reports. At least 18 people have been killed. South of St. Louis, the Mississippi river, swollen after days of torrential rain, is expected to crest at record levels later this week. 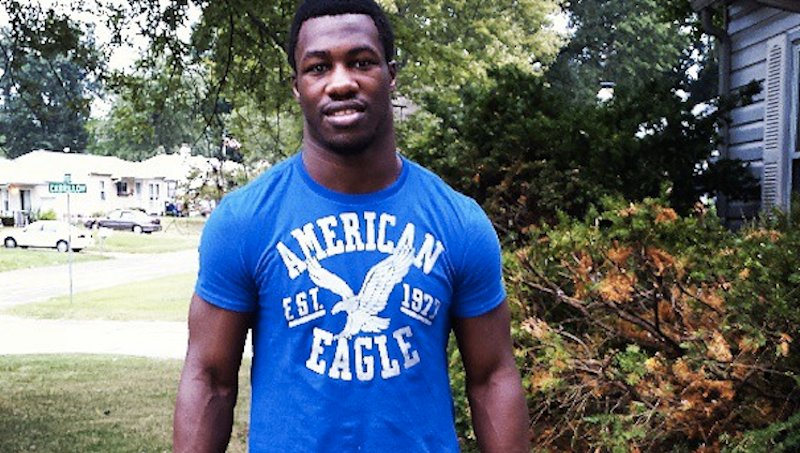 When the criminal trial of the HIV-positive college wrestler Michael Johnson began, BuzzFeed reports reports, his lawyer immediately fumbled her words, advising the jury her client was “guilty until proven innocent.” It was an inauspicious start to a trial that seemed, in retrospect, to have been stacked against the defendant in every way possible. 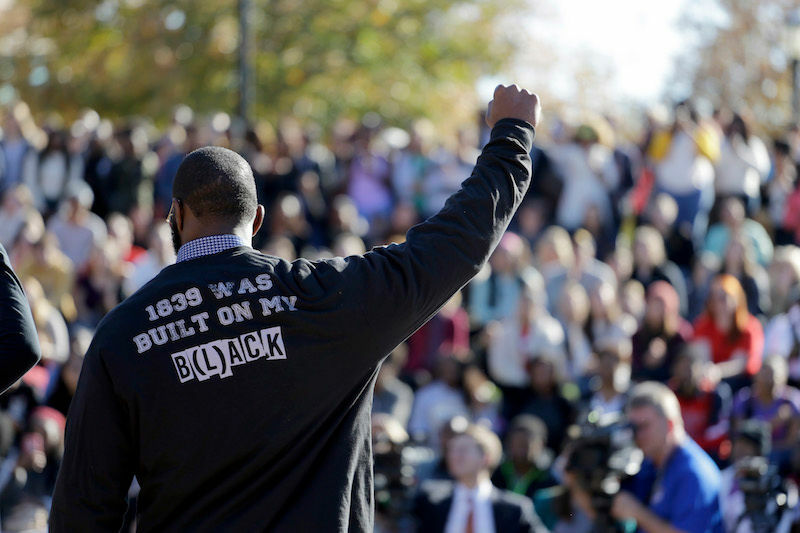 The events of the last month at the University of Missouri’s flagship campus in Columbia have been a sight to behold. 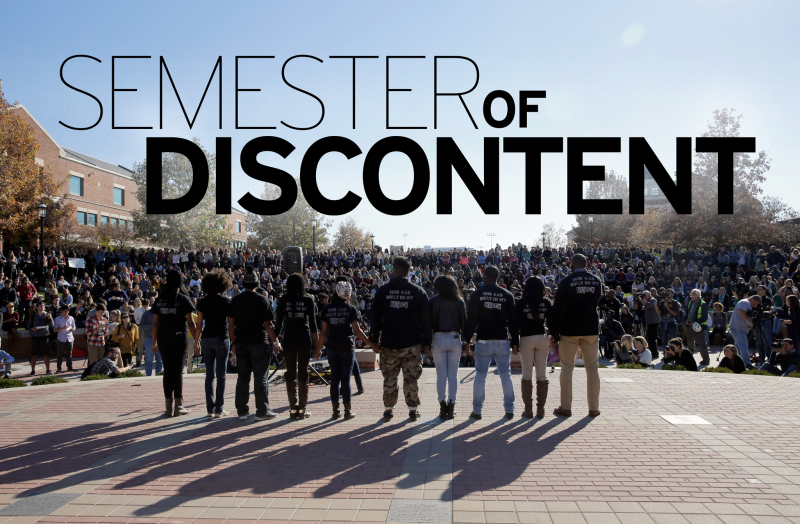 From the seeds of student activism led by Black students in an area once known colloquially as Little Dixie, flowers have bloomed on college campuses across the country. A University of Missouri professor who encouraged his students to stand up to the “bullies” threatening to kill black students on campus by taking a scheduled exam Wednesday has offered his resignation. Dale Brigham’s email about the exam was met with immediate backlash from some of his students, who accused him of not caring about their safety. Frazier Glenn Miller, the bloodthirsty anti-Semite convicted of murdering three people at Jewish community centers in Kansas last year, has been sentenced to death. As the sentence was announced, Miller yelled, “Heil Hitler!” None of his victims were Jewish. 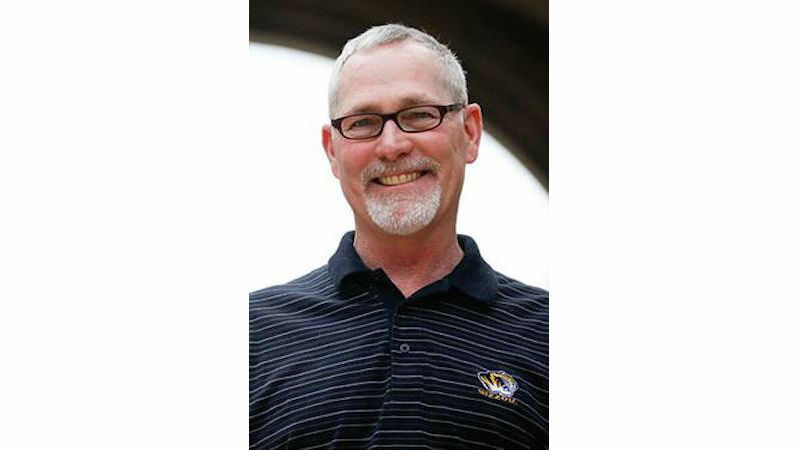 The University of Missouri’s President Tim Wolfe has resigned in the wake of student criticism that he has not effectively handled racist incidents on campus. Over the weekend, a group of black players on Mizzou’s football team announced they would strike until Wolfe stepped down. Authorities said Wednesday evening that a Missouri man shot himself in the fact after exchanging gunfire with police officers near the Normandy-Ferguson city line, the St. Louis Post-Dispatch reports. The 18-year-old man was hospitalized and is in critical condition. 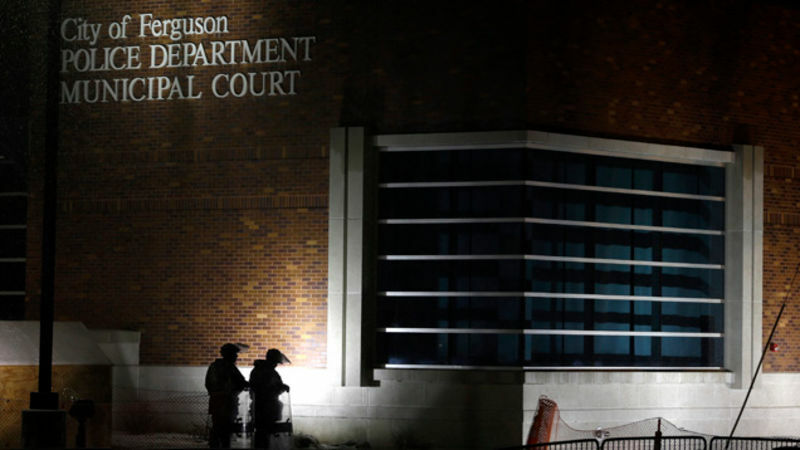 Ferguson, Missouri’s newly appointed municipal judge announced sweeping changes to the city’s court system on Monday, including the withdrawal of every arrest warrant issued in Ferguson prior to December 31, 2014, Reuters reports. 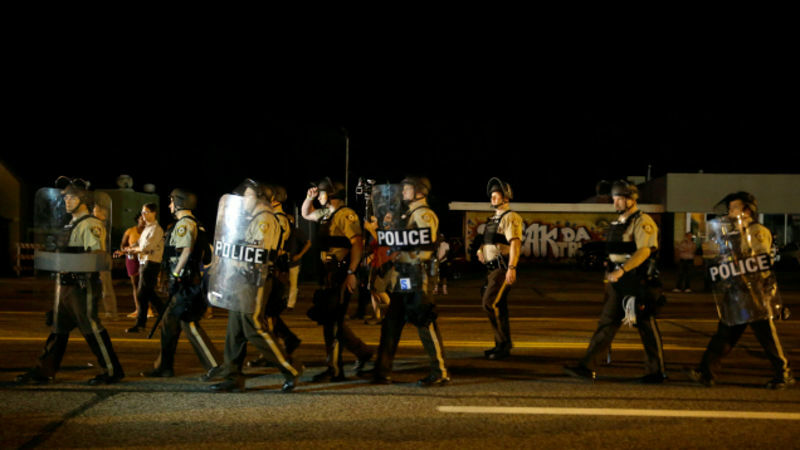 Missouri Cop Brags on Facebook About "Annual Michael Brown Bonus"
The Guardian reports that St. Louis County police are investigating Officer Todd J. Bakula after he made a Facebook post bragging about his “annual Michael Brown bonus,” an apparent reference to extra income earned while working during protests in Ferguson this week. 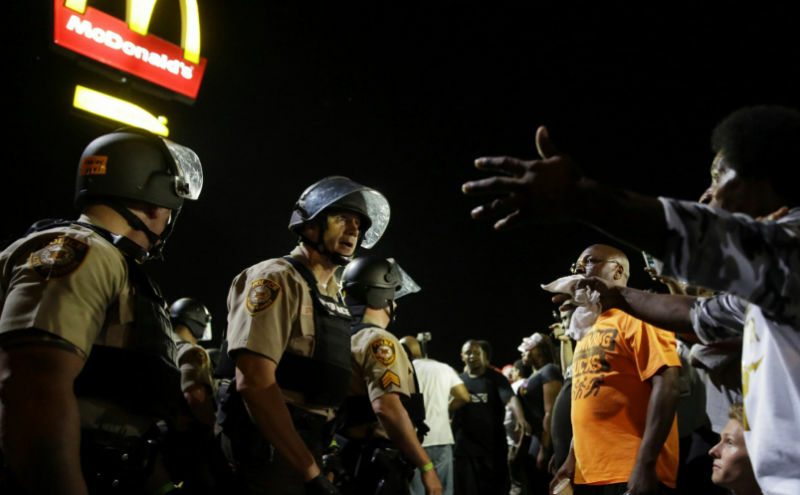 St. Louis County Police say that about 60 people were arrested on Monday after Michael Brown protestors shut down both lanes of traffic on Interstate 70 in Earth City, Missouri, the St. Louis Post-Dispatch reports.